Коллекция: Mercedes AMG Petronas Formula 1 Team 2018. Компактный зонт с оригинальным дизайном Mercedes-Benz AMG. Стильный и полезный аксессуар для вашего гардероба! 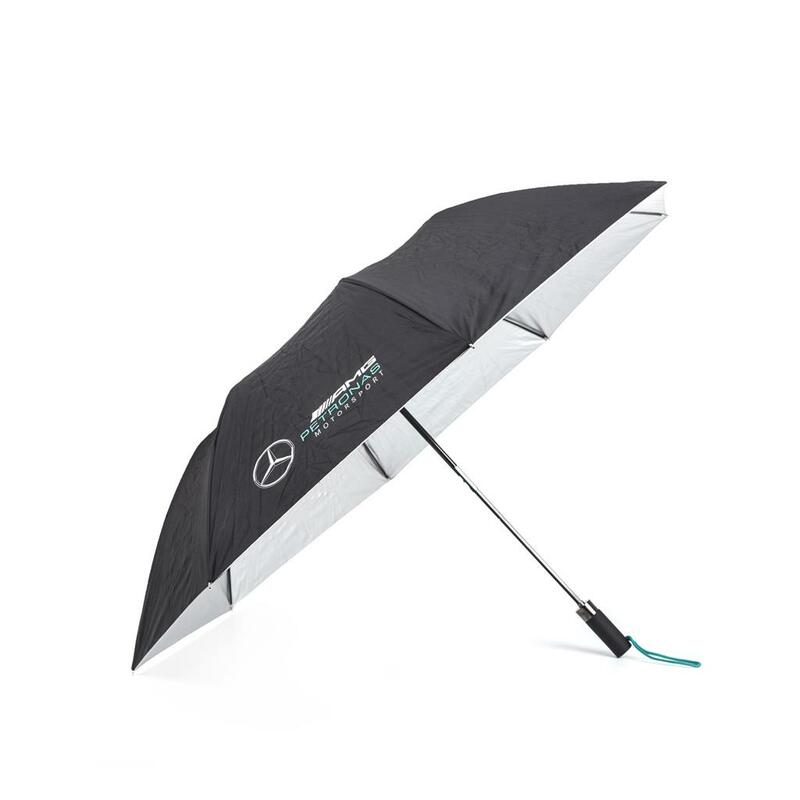 Updated with the latest Mercedes-AMG Petronas Motorsport team logo and colours on the front and featuring the new 2018 tri-colour logo on hood, as seen across the 2018 Mercedes-AMG Petronas Motorsport collection. Top panel with printed team logo. Contrast silver underside with printed team logo. Easy to grip straight moulded handle. Telescopic design with quick release button.